On July 18th, 2017, the community of Limestone County and kayaking lovers were shocked by the image of a bull shark in Tennessee river. Some passengers who were enjoying their trip there claimed that they saw a large creature swimming towards them. A couple even took a clear picture of the shark-like thing. And the Internet went wild with the information. There were sources saying that Limestone County had launched an investigation into the situation. Still, up to now, there is nothing provided by official agencies about the rumor. Is there any possibility that it is true? There are many species of sharks, some live in freshwater, others live in the ocean, and the population of the latter is more well-known than the former. That’s why people often relate sharks to ocean inhabitants. However, we can sometimes encounter bull sharks, which usually reside in salt water, in freshwater estuaries or even lake. A large number of organisms have the ability of osmoregulation, which means they can keep a certain water concentration constantly inside their bodies, even when the outside environment changes causing water gaining or losing. Fish, both freshwater and saltwater ones, are bestowed upon the capacity. The case or bull shark is unique because it can adapt the process of osmoregulation to stay in freshwater as well as its home. The species has special kidneys that can gradually adjust to suit the range of water salinities around their body. When the creature moves from the ocean into freshwater through estuaries, the organs start removing less salt and more urea. In another word, they change the components in the urination, in turns reverses the osmoregulation process of a marine shark into a freshwater one's. 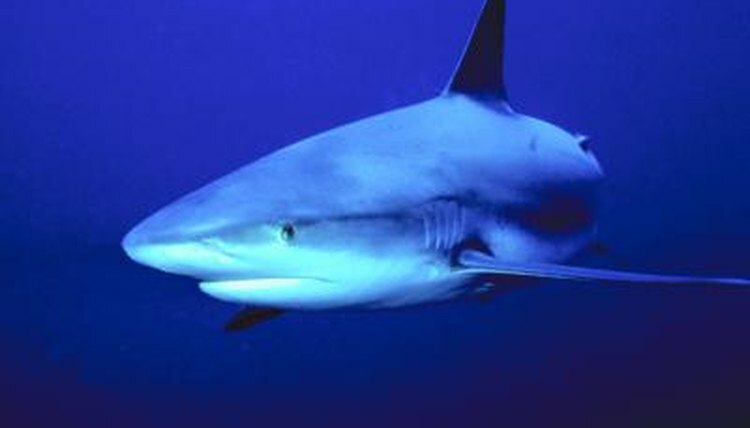 The gradual adaptation gives bull sharks the unique ability to live in both environments. Besides, they have special glands near the tails which contribute greatly to salt retention. The ability will degrade when the creatures get older, so younger bull sharks are encountered more in rivers than senior ones. Despite the common belief, baby bull sharks are given birth in shallow, brackish/fresh water. Theoretically, they can live there all their lifetime. However, due to the instincts, they will leave by the time they become mature sharks to look for mates. One reason why female sharks choose freshwater to be their children’s nurseries is that other kinds of sharks may want to hunt and eat the young creature due to the difference in the sizes. But the predators cannot enter the areas, so the freshwater environment becomes a protective region for bull sharks before they can defend themselves. Can bull sharks reach Tennessee River of Limestone County? Although it is true that bull sharks can live in rivers or even lake, can they appear in the area of Limestone County? It is doubtful. The natural habitat of bull sharks is always the ocean, and there is no reason for a creature to venture that far from the shore to Limestone. In 2015, there was a bull shark detected in the water of Tennessee River, not far from where it is claimed to appear on the day of July 18th, 2017. Official agencies had come right away to collect the body of the dead creature. It was proved a prank because the glides of the pitiful animal were cut and bleeding, and there had never been any other sharks appearing in the area for over a century. In other words, some nasty people had caught it somewhere else and dump it in Tennessee River. Officials had launched an investigation to catch whoever conducting that misdemeanor. From the day of July 18th, 2017 till now, there has been no confirmation or correction about the news. Because, of course, official agencies don’t receive any report from anybody aside from a super short news wandering on the Internet. Besides, it was not the first time something like this had come up. Not long before the situation, there is a terrifying hoax about a 9-foot bull shark detected in Kentucky Lake. According to react 365.com, the site releasing the rumor, “Coast guard officials have determined that a 9-foot bull shark was identified in Kentucky Lake. A team of marine scientists is flying in from Florida to capture and study it.” The false information was debunked later. And, again, the new case is also a bogus story. At the bottom of the page breakingnews365.net, who was the first to spread the rumor, there is a small print saying: “This website is an entertainment website, news is created by users. These are humorous news, fantasy, fictional, that should not be seriously taken or as a source of information.” Therefore, we can be pretty sure that the news is nothing serious. Truth is, there are possibilities that bull sharks can appear in freshwater. They are also the culprits of many attacks on human, and their behavior is somehow unpredictable. It is better for us to prepare and react when we are in the area where they had shown up before. But, bull shark in Tennessee River? It is much likely a mischievous prank. When does Kayaking Season Start?